An estimated 5 million workers across the country will need to use a respirator at some point during the course of their job. That means there are millions of opportunities for the devices to fail or be used improperly. In other cases, they are not provided to employees who need them or employees do not receive the proper training. Our Boston workers’ compensation attorneys have seen firsthand what can result from such a mishap. Now, in an effort to decrease those sort of occurrences, the federal government’s Occupational Health and Safety Administration (or OSHA) has created and posted a series of 17 videos to help educate workers and their employers on the proper use of respirators on a job site. Respirators are different than surgical masks, though some models may appear similar. The devices work one of two ways – either by filtering contaminants in the air or by providing a separate, autonomous air supply. 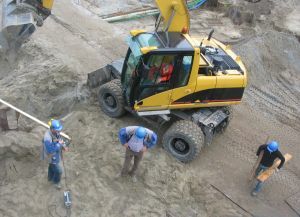 The devices are used in a wide range of industries – from firefighting to the medical field – on more than 1.3 million job sites in the U.S.
OSHA’s videos, published in both English and Spanish, cover everything from how the equipment should fit to how to spot counterfeit respirators and prevent work-related accidents involving respirators in Boston and beyond. One sector where respirators are often utilized is in the construction industry. Some common air contaminants on construction job sites include gas, mists, dusts and fumes, some of which can either make you ill or possibly be fatal, depending on the substance. Just because a worker doesn’t feel ill immediately, as might be the case with carbon monoxide poisoning, doesn’t mean a respirator accident is any less serious. Asbestos exposure can lead to mesothelioma cancer, though it takes years for most people to learn they’ve even been put at risk, and by then, the disease is usually in its last, fatal stages. This makes proper use of a respirator critical. 3. Work practice controls, like certain wet-cutting techniques. When these techniques can’t ensure your safety on the job, your employer is responsible to provide you with a respirator. And not just any respirator will do. Certain devices protect against certain substances, and it’s important for both you and your employer to do your research. Make sure that the respirator you use offers protection from exposure to whatever toxic substance you may encounter. 1. Have a written respiratory protection plan. 2. Know what the respiratory hazards are in the workplace. 3. Find the right respirators for each job. 4. Provide workers with medical evaluations and respirator fit testing. 5. Offer proper maintenance, cleaning and storage of respirators. 6. Make sure you have the proper training when it comes to respiratory hazards and the proper usage of respirators. 7. Make sure they are paying attention to employee respirator use, and correct any potential problems. 8. Provide you with access to a written copy of the company’s respiratory protection plan. The Boston workers’ compensation attorneys at the Law Offices of Jeffrey S. Glassman, LLC are dedicated to fighting for the rights of injured victims in Norwood, Quincy, Taunton, Cape Cod, Foxborough and elsewhere throughout Greater Boston. If you have suffered a work injury and would like to file a disability claim, call for a free and confidential appointment at 1-877-617-5333.